I’d like to dedicate this post in memory of Paul and Sheila Wellstone, who were killed in a fateful plane crash 14 years ago today. You’ll understand why as you read on. Recently Martin linked to an article by David Wong in which he makes the case that the real divide in this country is between rural America and our metropolitan areas. As someone who comes from a state that is pretty equally divided along those lines, I’ve seen that one up close and personal. But Minnesota is also the state where the Democratic Party is actually the Democratic Farmer Labor Party. It’s true that the coalition often exists in name only these days. 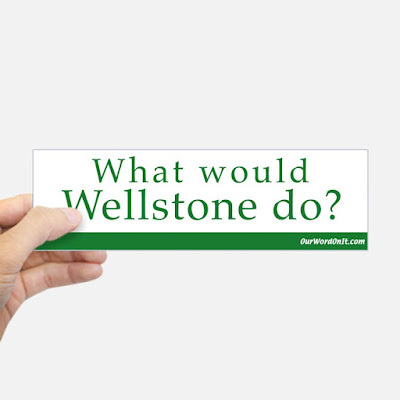 But it was revived in in the 1990’s when Paul Wellstone reached out to farmers, mine workers, white liberals, people of color, and immigrants in order to defeat a wealthy incumbent Republican. Fighting on behalf of that coalition defined his 11 years in the Senate. So I know it can be done. That’s why it was so discouraging to read the story John Enger wrote for our local public radio station. Guandolo travels all over the country talking to police groups and citizens. He is a regular on Fox News and national conservative talk shows. On stage in Warroad, he warned that refugees from Somalia, Syria and other Muslim countries intend to wage holy war on the United States, and overthrow the government and the justice system. He claimed that Muslims are buying up gas stations and working at airports to pave the way for a violent takeover. And told the crowd to prepare. “You’re essentially getting the county fortified,” he said. The story actually highlights two speakers (John Guandolo and Usama Dakdok) who are peddling this hate in Minnesota. There is a reason why they take their message to rural areas. Jaylani Hussein, director of the Minnesota Council on American-Islamic Relations, said anti-Muslim speakers are a symptom of sentiment that already exists. In other words, rather than face the possibility of being challenged by actual Muslims, these men go the areas where they can prey on the fears that people have of the unknown. I suspect that if you looked around your own state, you’d find that none of this is unique to Minnesota. The world has always had grifters who were willing to exploit fear in order to make a buck. I’m sorry to see that kind of fear take hold with some of my rural brothers and sisters. But that is what the Republican Party has wrought. So I’ll spend a few minutes today contemplating a bumper sticker we still see occasionally around these parts. To get in that frame of mind, take a look at the tribute Senate Democrats put together to honor Wellstone on the 5th anniversary of his death.